The EPA’s Clean Power Plan (CPP), an enforcement plan of the Clean Air Act, establishes caps to carbon dioxide emissions of current power plants [https://www.law360.com/articles/880858/epa-denies-bids-to-reconsider-or-stay-clean-power-plan]. The CPP has been controversial since its beginning. In December 2016, Texas and West Virginia led 24 states in urging President Trump to overturn the CPP [http://voices.nationalgeographic.com/2017/01/05/fate-of-the-clean-power-plan-remains-uncertain/]. In response, many states and cities requested the preservation of the plan. The implementation of the CPP is on hold as of January 2017 by order of the Supreme Court as the D.C. Circuit Court of Appeals reviews the legality of the plan, which could take days to years [https://www.scientificamerican.com/article/what-could-replace-the-clean-power-plan/]. On January 13, 2017, the EPA denied the majority of petitions challenging the plan or asking for a suspension of the plan’s implementation. The EPA claims that many of the petitions rejected by the EPA on January 13th raised similar issues to petitions included in the comment period of the CPP’s proposal. Of the 38 petitions asking for revisions of the plan, the EPA retained only 7 for further review. All 22 of the petitions advocating for a suspension of the CPP were rejected by the EPA on the grounds that the Supreme Court’s stay of the plan already achieves this end. As of January 2017, the CPP’s future grows even more murky as it gets swept up in the uncertainty around environmental regulations in the new Trump administration. Throughout his campaign, Trump claimed that he would overturn the CPP, and an executive order from Trump could end the CPP, even before the courts release an official ruling on the plan. 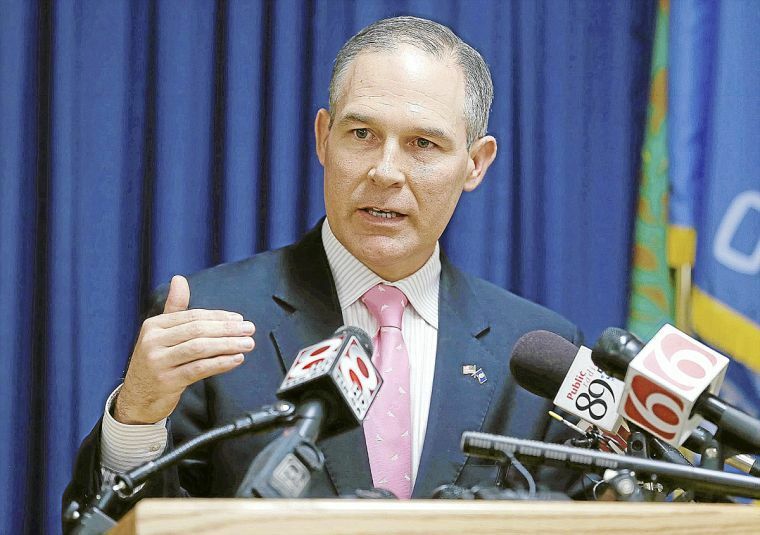 Scott Pruitt, the head of the EPA under the new Trump administration, has expressed his opinion that the EPA’s strategy to lower carbon emissions should focus on individual technology innovations in firms to decrease emissions, rather than encouraging firms to move from coal to other, cleaner forms of energy, which the CPP currently does. If the new administration tried to weaken the CPP, environmental non-profits would likely bring the plan to court. If the CPP is overturned, the EPA continues to hold the authority to implement the Clean Air Act through other vehicles. As of January 2017, the EPA offers resources and other forms of support for states to implement similar regulations on the state-level [https://www.epa.gov/cleanpowerplan/clean-power-plan-existing-power-plants]. This entry was posted in Coal, Decarbonizing Society, Emily Audet, energy policy and tagged Clean Power Plan, Emily Holden, Environmental Protection Agency, Juan Carlos Rodriguez, Law360, National Geographic, Nicholas Institute for Environmental Policy Solutions, Scientific American, Scott Pruitt, Tim Profeta, Trump by Emil Morhardt. Bookmark the permalink.